What Causes Cancer? What Causes Cancer? I have been waiting with anticipation to hear from my client A. When A. came to me, he was diagnosed with prostate cancer. His marker was 11. He educated me that a marker of 9 was the highest level. He was beyond the highest stage. He was committed to live. His wife is his soulmate. And she along with their children are his purpose. He was ready to create a miracle. And I was fully ready to guide him and support him. 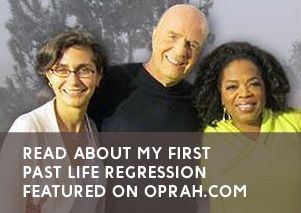 We began our work with a past life regression. It revealed that (in a very simplified way and definitely not doing it justice) the emotional cause of cancer for A. was his desire for deep connection and intimacy. During our first coaching session, A. told me that he had just had blood drawn so he can see how much improvement he had made. I knew the results would be good. First, A. had a reason to live. And second, he was doing the work — Our regression left him a different man, and he has been continuing the work by visualizing the healed tissue, feeling like his new self and creating deeply fulfilling moments with everyone around him. And sure enough! His marker went down from 11 to 9!!!! I cannot even tell you how thrilled I am. Proof! He is doing it! He is succeeding in healing his body! And what is so amazing is that he knows, he really knows that he is already healed! I do too! So lets take a step back and talk about cancer in general. Cancer is a turning point for a new life. Cancer is a teacher. It teaches you how to change your life for the better. It is an expression of the psyche’s desire for improvements in the quality of your mental life. Cancer is a physical manifestation of the psychic energy blocks in the path of growth. You need to learn how to liberate suppressed emotional energy by improving the quality of your mental attitudes. Cancer is about growth. Growth that is happening in an exaggerated manner. The spiritual and psychic growth in certain lines of development is denied and the person feels that she or he can no longer grow psychically, as a person properly because of beliefs and perceived limitations. There is an attempt to grow psychically, but the energy and the expression being blocked, results in the overgrowth of certain cells. The person insists upon growing in terms of personhood or upon dying and that forces an artificial situation in which growth itself becomes physically dangerous. Cancer results because there is a blockage. The person wants to grow in terms of personhood, but is afraid of doing so. There are always individual variations, but often the person feels a myrtyr, imprisoned by life and circumstances. Many cancer patients have martyrlike characteristics, often putting up with undesirable situations or conditions for years. They feel powerless, unable to change, yet unwilling to stay in the same position. My biggest goal is to arouse your beliefs in your strength and power. Then the journey of using and applying all tools for healing begins. If you are ready to heal and if you are absolutely committed to doing the work — email me at http://www.mirakelley.com/work-with-me/ and lets roll our sleeves up and lets get going. Because your life is worth living. Because it is time you liberate your energy and allow for your spiritual growth. ← Can I Have Babies and Still Go Big in My Career?